Ingredients: organic coconut milk powder, caprylic acid powder, d-ribose. SUBSCRIBE AND SAVE 10%! 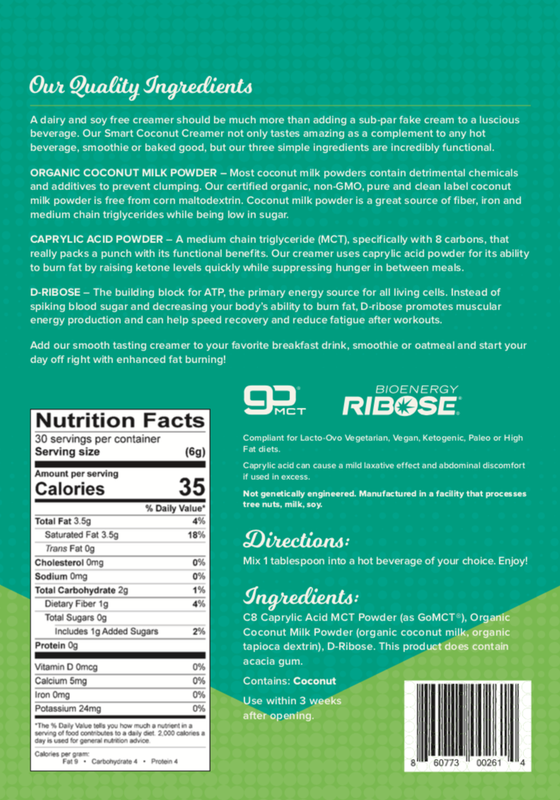 You will receive one bag of Smart Coconut Creamer every month to enjoy!